The condo building is elegant with floor-to-ceiling windows topped with fan arches in its foyer. It also has a crystal chandelier and areas for sitting and entertaining. 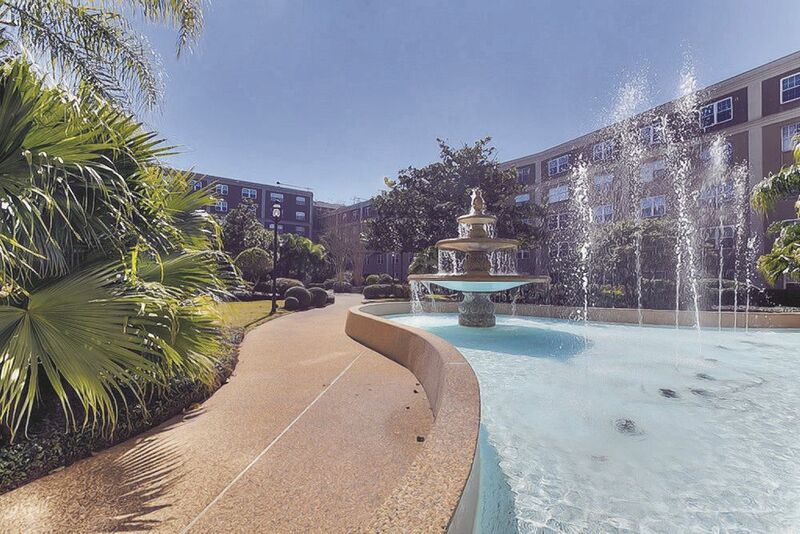 It has a large interior courtyard as well as a rooftop swimming pool with a fountain and plenty of seating for tanning and socializing. There is also a rooftop terrace with a spectacular view of the city. The living room and dining room are separated by pillars and have shiny wooden floors, a fireplace and a chandelier. This kitchen is a cook’s dream with cherry wood cabinets, granite counter tops and loads and loads of storage. “The unit includes two designated parking spots in a covered parking garage,” said Levy. 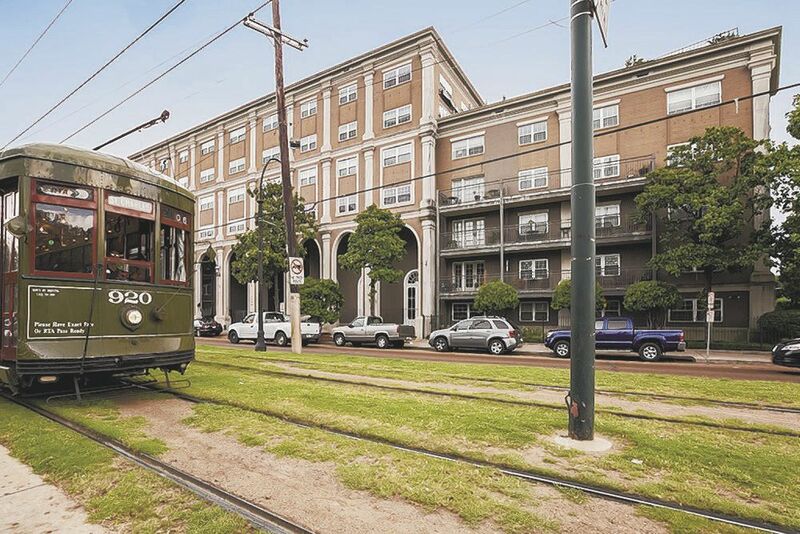 “You can walk or take the street car to the Central Business District, the Warehouse District, the French Quarter, Magazine Street shops and the universities. The St. Charles Avenue thoroughfare is the home of the St. Charles streetcar line and is also famous for the dozens of mansions that adorn the tree-lined boulevard. The Southern live oak trees were planted during the early twentieth century. The downriver end meets Canal Street. On the other side of Canal Street in the French Quarter, the corresponding street is Royal Street. From Canal Street, St. Charles runs up through the New Orleans Central Business District, then the length of Uptown New Orleans, reflecting the crescent curve of the Mississippi River. From Canal Street to Lee Circle, St. Charles Avenue is properly called St. Charles Street and is one way in the upriver direction with two lanes of traffic, with the streetcar track sharing right-of-way with one lane of motor vehicle traffic. St. Charles Avenue was the favored site for construction of mansions by the wealthy during the early years of the 20th century. A number of the old mansions were torn down in the mid- and late 20th century, until the area was declared an historic district. Many of the surviving ones have been divided into condominiums or rental apartments. Notable buildings along St. Charles Avenue include several hotels. The Columns Hotel is a small hotel in a 19th-century mansion; part of the film Pretty Baby was made here.